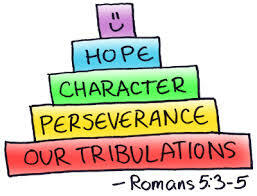 And endurance (fortitude) develops maturity of character (approved faith and tried integrity). And character [of this sort] produces [the habit of] joyful and confident hope of eternal salvation. “LORD, there is no one like You! Who would not fear You, O King of nations? Pumpkin muffins in August… Really? And I know it’s been unseasonably cool this summer, but it’s still summer, and although I like pumpkin bread, muffins, and coffee during the fall, I’m just not ready for them now, while it’s still 80 plus degrees outside.Still there are all these commercials on TV now that are just taking all the fun out of my cozy seasonal traditions. First, its Christmas trees in late October, and now warm pumpkin pie in August?